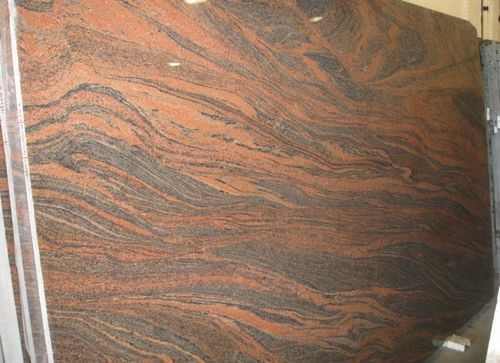 Our company has achieved widespread recognition in offering Multi Red Granite to the clients. Multi Colour Red Granite is provided by professionals is manufactured by utilizing optimum quality raw material and sophisticated technology under the guidance of dexterous professionals at par with national quality standards. Offered range is renowned for wide applications due to robustness and beautiful appearance. This product is quality examined for minute flaws before giving a final polish. Offered range is available in diversified sizes, shapes, cuts and other related specifications. Packaging Details Strong Wooden Creates. Maharaja Stones, are a prominent organization engaged in manufacturing, supplying and exporting a comprehensive array of Artifacts, Wall Claddings and Stones, since 2006. We export our products in East Europe, East Asia, Central America, North Europe, Middle East, South America, South/West Europe, South East Asia, North America, Australia/NZ, Indian Subcontinent, Caribbean, East/Middle Africa, South/West Africa and North Africa. Under the offered array, we provide Shivakashi Granite, P White Granite, Black Galaxy Granite, Spider White Marble, Rainforest Green Marble, Basalt Stone, Basalt Tiles, Basalt Blocks and Sandstone Pot. In addition to this, we provide Flower Pot, Garden Bench, Garden Bench Seat, Planter Sandstone, Sand Stone Bench and Copper Polished Slate Stone. The demand of offered stones and other products is high as these are processed by using high grade raw material and cutting-edge technology. Further, post production, we check these stones and other products on varied parameters so as to ensure their synchronization with the established quality standards. With an aim to suit the varied requirements of patrons, we provide the stones and other products in different sizes, thickness, colors and finishes. Moreover, our professionals who are the experts of this domain, understanding the required specifications of patrons, provide these stones and other products, in accordance with the same. We have developed a sound infrastructure, supported by which we are able to process and store the provided stones & other products without any hassle.